New Year’s Eve is the ending of a chapter of our lives and a new beginning for the next. It’s like having a do-over to be able to change what you didn’t like and make it better in the upcoming New Year. Throwing a New Year’s Eve party is a chance to say goodbye to the old year and welcome the New Year that is full of promise and new opportunities. Being an organized person I have to plan everything. When I throw a New Year’s Party I make sure everything is planned down to the strike of the midnight hour. To help with the planning, I have created the New Year’s Planner to assist. It gives me opportunity to stay on track with my budget and items needed for the celebration. The planner also allows me to reflect on the positive things from the old year and what I hope to accomplish for the New Year. It’s never too early or too late to start planning. The first step is always the hardest but when you have planners to help you along the way it makes it easier. 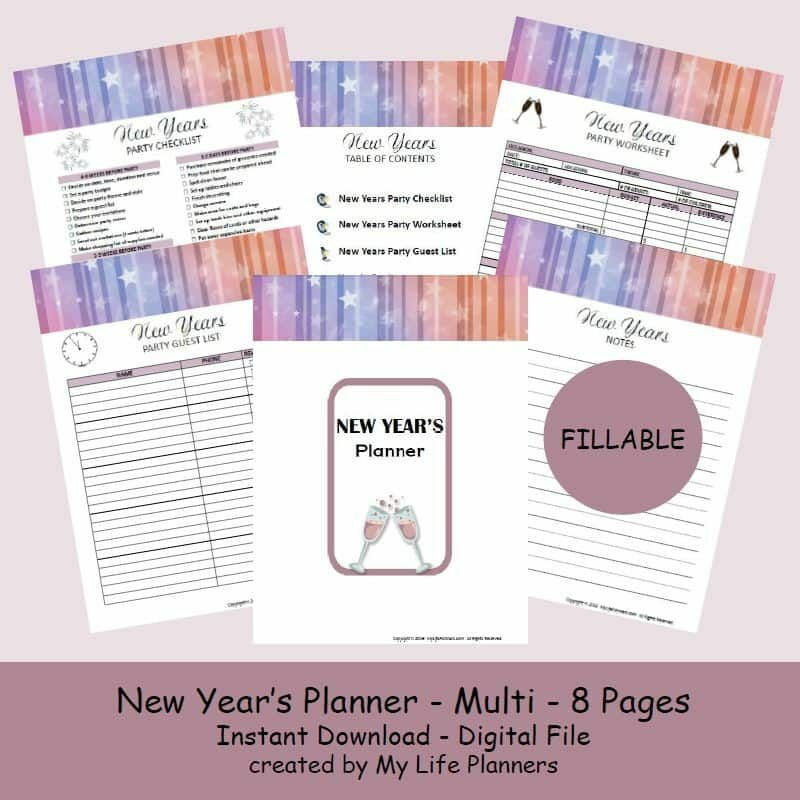 I hope the New Year’s Planner becomes the valuable tool that it has been for me with your next New Year’s celebration. Make your New Year great and have a Happy New Year!